I am not a fan of kiwis. It’s one of the very fruits that I am not comfortable eating. I only ever tolerated it with dessert like that shaved ice served at the mall. But that’s it. This recipe over at Pioneer Woman changed my mind. Just like how my cousin’s kiwi pie “probably” changed the mind of that boy. 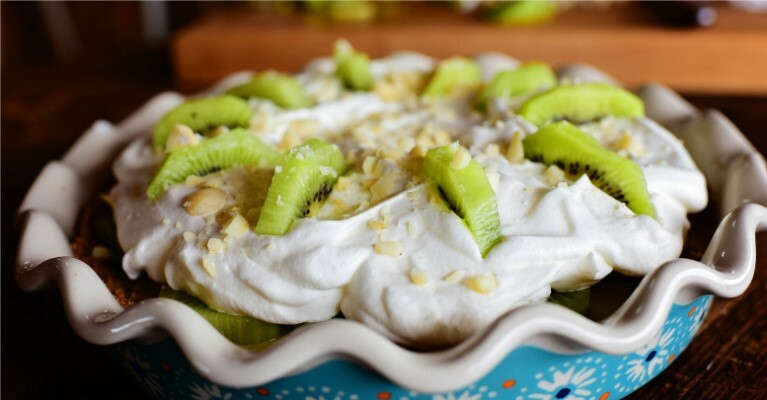 Because of that whipped cream and all those nuts—I barely even taste the kiwis anymore. It’s one of those desserts that surprise you. I expect too much tartness and juice from the kiwis that would have destroyed the pie, but they’re just moist and sweet and taste ever so good with the other ingredients. Quick Tip: Digestive biscuits can be a substitute for graham crackers. Thanks again to The Pioneer Woman for this amazing recipe.